"The Hindu religion is the only one of the world's great faiths dedicated to the idea that the Cosmos itself undergoes an immense, indeed an infinite, number of deaths and rebirths. It is the only religion in which the time scales correspond, to those of modern scientific cosmology." - Carl Sagan (1934-1996) famous astrophysicist, in his book - Cosmos. But I know of no land which is suffering more than India from traditional, false, and injurious conceptions of chronology. Time is here endowed with life and enthroned among the gods. Siva is “Maha-Kala” the great incarnation of Time, and the mighty destroyer of all things. Until recently, it was thought that our human progenitor, Adam was created no more than sixty centuries ago and that the whole history of mankind is consequently confined to that brief space of time. But India has, with much greater daring and with more of unreason, carried back many billions of years the origins of mankind and has painted vividly a future whose expanse is as the boundless sea. One of the principal evils connected with this measureless time system is found in the fact that it helps to destroy the confidence of all intelligent men in the historicity of characters and events. While we recognize that this chronology is a natural product of the dreamy, patient soul of the East, the most important fact for us to remember is that it also perpetuates and accentuates the very evil which gave it birth. It is the new light of the West that has dawned upon India and has brought to it a new era. Yet I firmly believe in the ultimate triumph of our faith in India. 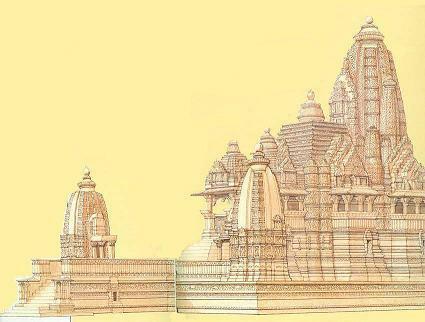 Under God this mighty fortress of Hinduism will capitulate. Nor do I think that the day of Christian dominance is so far away as many missionaries are inclined to think. There is an accumulation of forces and a multiplication of spiritual powers which are now operating in behalf of our faith and against the ancestral religion of India, such as will work wonders in the future religious development of the land. The conquest of our faith in India will be not the less, but the more, thorough, because it will be not only of the letter but also and chiefly of the spirit. Christianity is sowing everywhere its seed of life and of character, as they are exemplified in the perfect life of Jesus, and are elaborated in the four Gospels, in comparison with which the message of the four Vedas and of all subsequent Hindu literature is but as the dark and feeble groping of the blind after light. Pax Brittanica has been one of the greatest boons that the West has conferred upon the East. (source: India: Its Life and Thought - By John P Jones p. 276 - 443). For more refer to chapter on European Imperialism. (For more refer to chapter on Greater India: Suvarnabhumi and Sacred Angkor). Cultural Genocide of Vedic Religions ? “When [an Englishman] wants a new market for his adulterated Manchester goods, he sends a missionary to teach the natives the Gospel of Peace. The natives kill the missionary; he flies to arms in defense of Christianity, fights for it; conquers for it; and takes the market as reward from heaven." (source: The Man of Destiny - By Bernard Shaw - Plays Pleasant and Unpleasant vol. 2 Penguin, 1989 p. 334-336). “A creed religion like Christianity... is constantly competing against all other religions — and, what is more, doing so on their own home grounds. Its success is measured in terms of the number of converts it makes." " I am a Hindu because it is Hinduism which makes the world worth living." - Mahatma Gandhi (source: Young India 1-12-26). "the Christian faith, far from bringing in the peace which it proclaimed, was still furthering the sword." - Kenneth Scott Latourette in his book A History of the Expansion of Christianity (Harper & Row, 1939, Vol. 3, p. 177). Mahatma Gandhi (1869-1948) a proud Sanatani Hindu termed: "Conversions as a Fraud on Humanity." "If I had power and could legislate, I should certainly stop all proselytizing". "I resent the overtures made to Harijans." "Stop all conversion, it is the deadliest poison that ever sapped the fountain of truth." Poverty doesn't justify conversion. (source: "A Repudiation," Young India, 4 March 1926, in Collected Works, vol. 30 (1968), 70). "Why should there be an Evangelization of Asia at all? Don't we live in a global society in which we must recognize pluralism in religion just as we do in culture or language? Are not the great religions of Asia good enough and a great legacy for the entire world? Why do Westerners come to India? It is mainly to find spiritual teachings that they didn't find in their own Western Christian backgrounds." "The Christians are convinced that they have a message which alone is a solution for the problems of humanity and therefore of India. They believe themselves to be bearers of good news which they wish to share with others. Their hope and desire is that India may become Christian. They can never acquiesce in the position that different religions are good for different communities, that all religions are fundamentally the same and that it is for each religious community to seek to make the best of the possibilities of its own religion." The intolerable idea that God only revealed himself to one people and left all the others in darkness is patently absurd. (source: Religions aren't equal, Vatican says). Also refer to chapter on Conversion. Refer to The War of Religions and The Saint Bartholomew's Day Massacre. 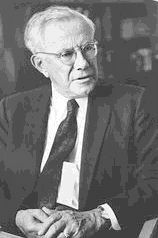 Paul Tillich (1886 - 1965) the renowned Protestant theologian. He studied theology at the universities of Berlin, Tubingen and Halle before being ordained as a minister of the Evangelical Lutheran Church in 1912. After the war he taught theology in several universities until being dismissed in 1933 because of his opposition to Adolph Hitler. He emigrated to the United States and began teaching at the Union Theological Seminary in New York City. This was followed by periods at Harvard University and the University of Chicago. "One of the worst mistakes made by Western religions was transmogrifying the Concept of "God" into a Being, which necessitated endless wars to determine whose Supreme Being was really "God." "Philosophically there was nothing extraordinary in Christian principles. From the point of view of sacrifice, it seemed to me that the Hindus greatly surpassed the Christians. It was impossible for me to regard Christianity as a perfect religion or the greatest of all religions. " Gandhi was only twenty-four when these skirmishes with Christian missionaries occurred. This shows an amazing maturity of thought at this young age. During his life several Christian missionaries met him and tried relentlessly to convince him about the uniqueness of Christianity and the infallibility of the Bible. Gandhi was frank enough to tell them about their folly and the absurdity of their beliefs. 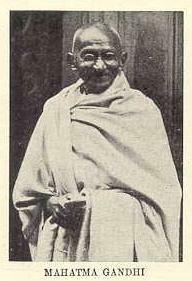 (source: Encounter with Mahatma Gandhi and Gandhi and the South African Keswick Convention). Refer to Christian Supremacy: Pushing the Dhimmitude of Non-Christians in America .
" Monotheistic faiths have consistently claimed that the commandments of their Gods are somehow more superior and justified than those of other faiths. " "The dominant forms of international mass media have deeply imbibed a distorted Eurocentric worldview, with its tendency to see the cultures and faiths of non-European peoples as intrinsically inferior and backward, as mainly of anthropological interest, existing as a curious hangover of a lower stage in the evolution of human kind. Therefore, instead of leading to greater understanding, fleeting mass media images of alien practices, when viewed in very different cultures, have so far tended to increase divisions, strengthen prejudices and negative stereotypes." (source: Christianity’s Imminent Downfall - By Jason Long). Thomas Jefferson (1743-1826) a liberal Christian President of the US, recognized very early the deleterious impact of religion on a pluralistic America which was then getting established. Writing about religion, he said that its negative potential “has been severely felt by mankind, and has filled the history of ten or twelve centuries with too many atrocities not to merit a proscription from meddling with government"
“were the Pope, or his allies, to send in mission to us some thousands of Jesuit priests to convert us to their orthodoxy, I suspect that we should deem and treat it as a national aggression on our peace and faith." (source: Proselytization In India: An Indian Christian's Perspective - By C. Alex Alexander). Tobacco companies and the Christianity Inc are today in the same boat. They are rapidly loosing customers in the West. Now they are seeking a “rich harvest in the East” as very eloquently expressed by the Pope on his last visit to India. "As Pope visits India, the Vatican's main concern is survival in an indifferent, even hostile world," says Dr. N.S. Rajaram. "It is now facing threats on two sides - collapse of Christianity in the West, and the expansion of Islam in its neighborhood from the Caucasus to Kosovo." Europe "seems more and more like a series of tourist-trod monuments to Christianity's past." For example, in France only one in 20 people bothers to go to church anymore; in the U.S., that ratio is one in three. The story quotes a pastor in northern France who says, "What's interesting isn't that there are fewer people in church, but that there are any at all." In England, there are 25 million people who identify the Church of England as their denomination, but only slightly more than one million go to church every week. And in Italy, although 85% of the population call themselves Roman Catholics, as few as 15% bother to attend church. (Refer to The Withering of Christianity in Europe ).
" Just as in the first millennium, the Cross was planted on the soil of Europe, and in the second on that of the Americas and Africa, we can pray that in the third Christian millennium a great harvest of faith will be reaped in this vast and vital continent. He fervently endorsed the call of his Bishops, the heart of the Church in Asia will be restless until the whole of Asia finds its rest in the peace of Christ, the Risen Lord." How does the Church pursue this goal in the face of the Supreme Court's emphatic verdict that the freedom to propagate does not include freedom to convert, that conversion is in fact an assault on the freedom of conscience that our Constitution guarantees to the persons the proselytizers target? Refer to Christianity Dying In The West? - By M S N Menon - organiser.org. Refer to Can Hinduism face the onslaught of Project Thessalonica? - By Alex Pomero. Refer to Bible thumpers: Americans are being increasingly stereotyped as stupid - By Arvind Kumar - indiareacts.com). Refer to Who Killed Our Culture? We Did - By Youki Kudoh - time.com May 3 1999. Refer to Christian Supremacy: Pushing the Dhimmitude of Non-Christians in America . The Pope also ignored calls by Hindus that he apologise for atrocities committed by the Portuguese on people in colonies like Goa during the dark days of the Inquisition, and also for carrying out forcible conversions. In remembering his 1996 trip to Manila in Rise, Let Us Be On Our Way, a book he published last year, the Pope said: “In Manila I had before me the whole of Asia. So many Christians! And millions of people in the continent who do not Christ yet! I have great faith in the Churches of the Philippines and Korea. Asia is our common goal for the third millennium.” Home to two thirds of the world’s population, half of them young, Asia is the continent of the future. In an Asian environment closely tied to traditions that are oftentimes self-centred, a strategy of localisation goes hand in hand with an overall missionary thrust. Thus, John Paul has urged Catholics to make a commitment to evangelize the continent and the world. (source: The Pope’s Asia: a small Church, a great future - asianews.it). 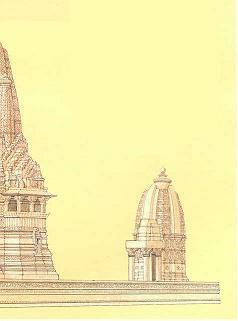 Elegant, monumentality, and intricate details are qualities often combined in Hindu temples. The Pope also ignored calls by Hindus that he apologize for atrocities committed by the Portuguese on people in colonies like Goa during the dark days of the Inquisition, and also for carrying out forcible conversions. The Vishwa Hindu Parishad, or World Hindu Council, which orchestrated demonstrations in advance of the visit said the Pope's comments were "an abuse of hospitality". 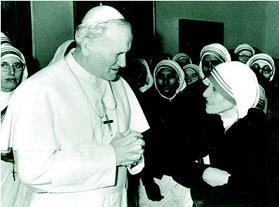 "The Pope came to India specifically to further the Christian idea of conversion. We will not allow this to happen," spokesman Lokesh Pratap Singh said. Other religious leaders also made veiled criticisms. "Religious people are more busy in increasing the number of their followers rather than paying attention to the challenges besetting religion," Jain guru Acharya Mahaprajna told reporters. (source: Pope defends conversions in India - BBC). Also refer to India is now 6% Christian - World Christian Database. Also refer to chapter on Conversion.and Christians have Destroyed Various Ethnic Cultures of the World - christianaggression.org. and Up to 10,000 Native Indian Missionaries to Attend Evangelism Conference - christianpost.com). Western obsession for promoting religious conversions under the aegis of India's Constitutional guarantee of religious freedom. “what I learned about Hinduism enhanced my appreciation for this ancient religious tradition. I saw a beauty in it that was enviable, and I found many points where Christians and Hindus are seeking to deal with the same human needs in remarkably similar ways”. He admired the absence of the “spirit of missionary imperialism” in Hinduism and questioned whether or not the “Christian claims to possess infallibility or ultimate truth are not signs of a brittle pettiness that cannot endure”. (source: Proselytization In India: An Indian Christian's Perspective - By C. Alex Alexander). Refer to The War of Religions and The Saint Bartholomew's Day Massacre. Refer to Christian Supremacy: Pushing the Dhimmitude of Non-Christians in America. Refer to The Swami Devananda Saraswati Interview with Rajeev Srinivasan - christianaggression.org. Sycophantic reporting to Pope's death. Gleeful support for Christian Aggression? Eulogise "secular” Pope who wants to destroy Hindu culture and traditions. 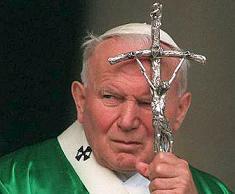 There is much more to the three-day official mourning India has ordered for Pope John Paul II than the fact that this country's most powerful politician, Sonia Gandhi is both a Roman and a Catholic by birth. It was to such an India that Pope John Paul II made his second coming in Nov. 1999 and emphatically declared that evangelism was the right and duty of the Church. Indeed the Pope chose to sign the 'Ecelesia on Asia,' the momentous document which called for ''reaping a great harvest of faith in Asia in the third Christian millennium,'' in New Delhi. This was a direct kick in the teeth of the BJP that long accused the church of poaching Hindus to be in its Catholic flock. In Gujarat, Hindu chauvinism found a new target in the much larger and more prosperous Muslim minority which found itself the target of the vicious 2002 pogrom which left thousands dead and tens of thousands homeless. But then, recognizing the true nature of the pro-Hindu enterprise, secular parties joined hands with Sonia Gandhi's Congress party to roundly defeat the BJP in the May general elections last year. Clearly the electorate ditched the 'Ram versus Rome' argument and was happy that Sonia Gandhi had renounced the prime ministership offered to her and instead entrusted it to Manmohan Singh, a former World Bank economist and a Sikh by faith. 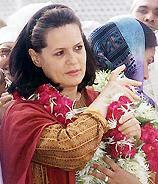 Gandhi retained for herself the chair of the ruling United Progressive Alliance (UPA) coalition. By itself the position is an enormously influential one. It also insulates Gandhi sufficiently from charges by ranting Hindu fanatics that she is actually an agent of the Vatican in Rome. But Pope John Paul II would be remembered best in India for fast-tracking sainthood for Mother Teresa, the universally beloved founder of the Missionaries of Charity that is known best for its work among the poorest of the poor in the eastern city of Kolkata. Refer to Hindus and Sikhs Criticize Pope's Interfaith Policies on Canadian TV Program - Under Pope John Paul II, the Roman Catholic Church has used poverty as "a tool for proselytizing." Hindu and Sikh panelists argued that the Church has focused on aiding the destitute of Asia and Africa because it seeks to win converts in those parts of the world. At the same time, the institution pays little attention to poverty in Latin America because that continent is already predominantly Catholic. Your exercise in pondering "why India grieves for Pope John Paul II" is full of dishonourable sycophancy. . It disregards the truly good points in his papacy, esp. his stand against Communism, and instead limits itself to a gleeful support for Christian aggression against the Indian religions. It also displays a lack of logic. The Pope's candid statement of contempt for all non-Christian religions, indeed his declaration of war against all Asian religions, only proved the correct assessment of Church plans by the BJP and by every honest observer who had "long accused the Church of poaching Hindus to be in the Catholic flock". In this sense, the Pope's statement was a kick in the teeth of the secularists who had always derided this observation as a case of "Hindutva paranoid hate-mongering" and what not. Your columnist should have understood that much himself, after writing that "Pope John Paul II made his second coming in Nov. 1999 and emphatically declared that evangelism was the right and duty of the Church". For good measure, don't forget to add Buddhists, "Animists", even Muslims, since they are all fair game for the missionary poachers. And Protestants as well. The Pope condemned the Protestant missionaries who poach on Catholics in Latin America as rapacious wolves; doesn't that make him deserve a "kick in the teeth" too? You also claim that the percentage of Christians is declining. That is not what the census shows, and it is completely at variance with the victory bulletins which the missionaries send to their sponsors back home. In these bulletins, it is patiently explained that the official figures differ from the true figures. (source: Reasons to grieve for the Pope? - By Koenraad Elst). Refer to VINDICATED BY TIME: The Niyogi Committee Report On Christian Missionary Activities - Christianity Missionary Activities Enquiry Committee 1956 and The Sunshine of Secularism. Refer to Truth can kill the West - By M.S.N. Menon - Truth can kill the West—the truth about Christianity. It is all in the Dead Sea scrolls. In the media - Hindus who opposed evangelization are termed 'Extremists' or 'fundamentalist' but Christians are 'activists'? For more information refer to Their Other "Dirty" Linen: Evangelism's Quest to Conquer the World - By S R Welch - secularweb.org and China says Vatican's Newest Saints were Sinners, Rapists - By Christopher Bodeen Associated Press Writer. For more refer to chapter on Conversion and Catholic Priests Molest Third World Nuns to Avoid AIDS and Missionaries in India - By Arun Shourie and Adi Deo Arya Devata. A Panoramic View of Tribal-Hindu Cultural Interface - By Sandhya Jain and India is now 6% Christian - World Christian Database and Harvesting Our Souls: Missionaries, their design, their claims - By Arun Shourie). For more refer to chapter on European Imperialism and Christian Aggression. Also refer to Crisis in the Catholic Church - Pope's Contradictions - By Hans Kung - Spiegel.de http://service.spiegel.de/cache/international/spiegel/0,1518,348471,00.html). (source: Why this war on Hinduism? - By George Thundiparambil - christianaggression.org). Refer to From De Nobili to Clooney: The Christian Methods of Inculturation. Also refer to Dinosaurs, evangelicals and the state - By Justin Webb - BBC). Refer to Who Killed Our Culture? We Did - By Youki Kudoh - time.com May 3 1999. Invasion of Iraq and the Ushering in of Global Christendom and Pax-Americana ? While the Western press is awash with stories, real and exaggerated, about ‘Islamic fundamentalists’, rarely is mention made about Christian fundamentalists, who, with their vast resources and close links with the current American administration, are a potentially more menacing threat than their Muslim counterparts. According to newspaper reports more than a third of Americans are associated with one or the other Christian fundamentalist outfit, most of which are fiercely anti-communist, anti-Muslim and are passionate advocates of free-market capitalism, global American hegemony and the myth of the civilizing mission of white America. In recent years, these fundamentalist groups have been engaged in aggressive missionary work in other countries as well, including in the so-called ‘Third World’. Fired by a passionate hatred for other religions, which they dismiss as ‘false’ and even ‘Satanic’, they are today among the most well-funded missionary groups in large parts of Asia and Africa. (source: American Christian Fundamentalist Leader Calls for Global War - By Yoginder Sikand - christianaggression.org).